The readout of the Model STR2020 On-Board Dyno� is in the form of two separate real-time displays. 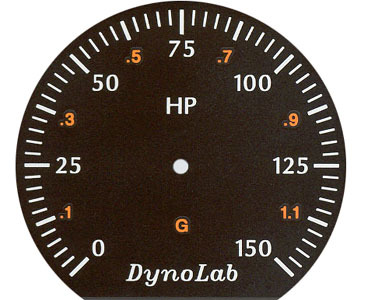 One is a high resolution digital display while the other is a fast response 270 degree analog meter. The displays are real-time in that they read continuously as the vehicle is driven. 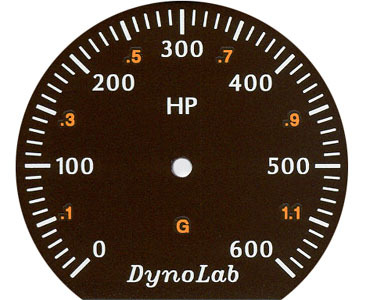 The On-Board Dyno� is an excellent shift indicator as horsepower is a better measure of when to shift than RPM. If the engine is allowed to wind-up in each gear until the horsepower peaks and then shifted, nearly perfect shifts will result. Although the best shift point is usually slightly beyond the horsepower peak, human reaction time will allow the engine to wind beyond the peak just enough to make an ideal shift. Experience has shown that a driver can drive an unfamiliar On-Board Dyno� equipped car and learn to make perfect shifts with just one pass through the gears. As a vehicle is accelerated through the gears, horsepower can change rapidly, particularly in a high performance vehicle. Although the digital display will show these changes, it is difficult for the eye to perceive these rapid changes. 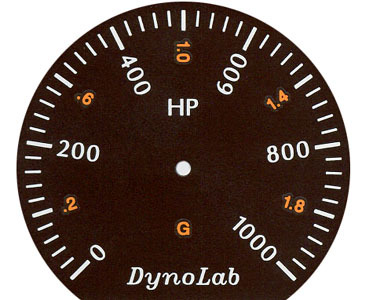 It is for this reason that the On-Board Dyno� is also equipped with an analog meter. The needle of this type of display is very easy to follow and understand even under rapidly changing conditions. In order for the analog readings to be meaningful however, it is desirable for the needle to be above half-scale at the horsepower peak. 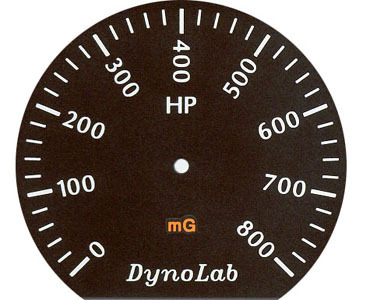 The On-Board Dyno� is therefore offered in a range of models with analog meter scales ranging from 150 HP to 2000 HP. To determine which analog meter scale is most suitable for your car, please review the above Analog Meter Scale - Model Selection Guide and select a model that is appropriate for the horsepower range of your engine. 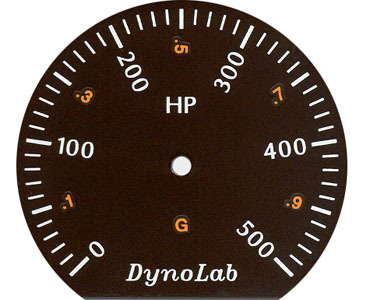 Note: If the full-scale range of the analog meter is exceeded, the On-Board Dyno� will continue to work properly. The digital display of all models will read accurately up to 1,999 Horsepower.